It’s not easy being a Gestalt therapist, especially when you’re teaching and supervising in a doctoral psychology program in the United States. Sometimes I encounter individuals, like my former faculty colleague, who believe that Gestalt therapy is extinct. More often I encounter individuals who have an antiquated and unbalanced picture of what Gestalt is (or was). Fritz Perls, the co-founder of Gestalt therapy, can be credited for this inaccurate picture, which has been difficult to recalibrate 47 years after his death. When I presented on this topic at the 2016 American Counseling Association Conference in Montréal, I began with a “free association” exercise: “I say Gestalt therapy, you say …?” As expected, I heard hot seat, here and now, empty chair, techniques and the Perls prayer. I was also pleased to hear field theory, dialogue and process oriented. One common misconception is that Gestalt therapy is a tool bag of techniques that any therapist, regardless of orientation, can employ. In fact, a technique, such as having a client imagine, then address, another person in an empty chair, can be employed by any therapist, but that intervention is not Gestalt therapy. As with any counseling approach, achieving even an elementary level of competence as a Gestalt therapist takes years of education and training. Another misconception is that Gestalt therapy can be coupled with other counseling orientations. Many years ago, I attended a one-day workshop led by Arnold Lazarus, the “founder” of multimodal therapy. Near the end of the morning session, he announced that he was going to show a video in which he would demonstrate how he could combine Gestalt therapy with his approach. In the video, he led a client through a “two-chair” exercise (in which a client moves back and forth between “facing” chairs, enacting a dialogue with two conflicting parts of the self). I approached him during the lunch break and respectfully suggested that he was not doing Gestalt therapy. I asked if he would make a clarifying comment in the afternoon session. My suggestion and request were not well-received to say the least. Having said that, are there aspects of Gestalt therapy that can be incorporated by counselors who are not well-trained and grounded in this approach? I believe there are, and in the remainder of this article, I will outline several of those concepts. 1) Context, context, context. In our increasingly multicultural society, the importance of considering context is becoming more obvious, regardless of one’s theoretical orientation. Gestalt therapy adopted (from Kurt Lewin) the concept of “the field” as one of its underlying philosophical foundations. In Gestalt therapy, the individual is always considered in the context of past and present field conditions or environments. Conceptualizing our clients as both being influenced by and influencing their various environments is the starting point of any therapeutic relationship. One of the mistaken perceptions about Gestalt therapists is that we are not interested in the past. In fact, a thorough history is usually taken so that we can find key parts of the trail that led clients to their current social and emotional location. “Context analysis” is critical to effective counseling, and given the demographic shifts taking place in the United States today, our clients’ contexts are far more heterogeneous than they were in past decades. 2) Curiosity competency. I just completed a one-year training program on intercultural communication. I had to smile when my trainer announced that the most important competency in intercultural communication is curiosity. I smiled because for the past several years, I have been featuring curiosity as the most essential competency for Gestalt therapists. Our theoretical term for this competency is phenomenological inquiry. Sitting with our clients, we attempt (as much as possible) to bracket off preexisting experiences, which would compel us to rush to judgment, to objectify and to believe we have these clients figured out. This process is not easy. After all, our academic preparation encourages us to ask questions to help us determine what box to put our clients in (diagnosis) so that we can apply the most evidence-based intervention. The goal of phenomenological inquiry is not to classify, however. Rather, we are using our “open mind” to understand the client’s subjectivity. Paradoxically, the more we are like our clients (in regard to age, gender, race, ethnicity, sexual orientation and so on), the more essential it is to lead with curiosity, especially given the natural tendency to take shortcuts and assume we know how the story ends without taking time to read all the chapters. Whereas client-centered therapy holds that feelings are primary, CBT places a similar emphasis on cognitions or thoughts. Gestalt therapy plays no favorites. Our clients may present with distress related to their thoughts, feelings, behaviors, dreams, sexuality, spirituality or relationships. 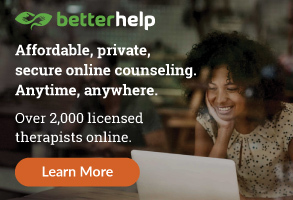 All of those “domains” are interconnected, and at any particular moment in therapy, one may be more salient to the client than the others. As a Gestalt therapist, I trust that my clients (not my theoretical orientation) will identify the aspect(s) of their experience that is primary at any moment. Cultural considerations will also require that therapists do not adhere too strictly to the dictates of any counseling approach, the majority of which have been developed with Euro-American values and biases. For example, how would a counselor trained to encourage clients to express feelings accommodate a client from an emotionally restrained culture? 4) The power of process. One of the hallmarks of Gestalt therapy is the attention to process, not just content. A graduate student recently approached me to inquire about joining one of my supervision teams. I asked him how familiar he was with Gestalt therapy. He said that all he knew for sure was that Gestalt therapists focus exclusively on the present. I corrected that perception and gave him a number of books and articles to read. I think about content and process in counseling relationships in several ways. Content is the currency of therapy, what is exchanged. Content is the vehicle that drives therapy, the stories that our clients share. Content encompasses the past and the future. Process exists only in the present moment. Process is the arena for change because change cannot happen in the past or the future. In every counseling relationship there is a rich and vibrant process that the therapist can either incorporate or ignore. The majority of counseling orientations are “content heavy.” Gestalt therapists realize that content and process cannot be separated. We are trained to pay close attention to process and to “artfully” comment about it. For example, a counselor might say, “As you talk about your former lover (content) you are speaking louder and your fists are clenched (process).” I use the word artful because it takes time and experience to become skilled at process observation and commentary. To comment on process is to invite your client to be “in the consulting room” with you. To comment on process is to create the opportunity for a kind of “intimacy” that many clients would be uncomfortable experiencing. 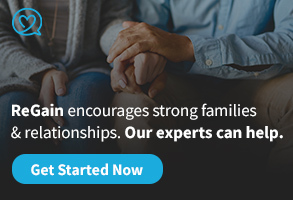 And yet no matter your counseling approach, there is ample evidence that the so-called “relationship factors” account for much of the positive outcomes that our clients report. Laura Perls, the other co-founder of Gestalt therapy, adopted Martin Buber’s “I-Thou” relationship beliefs as a model for Gestalt therapy. Something such as our clients feeling truly understood and appreciated by us can, in some way quite simple, be healing in and of itself. In my experience, these occasional and fleeting moments when clients feel extraordinarily connected to their therapist (and not alone) can occur only if counselors are able to incorporate attention to process into their approach. 5) Beyond empathy. It is widely recognized in the counseling field that empathy is a good thing. Carl Rogers’ contributions to the field are well-documented. Certainly the ability to be empathetic is a necessary competency in all counseling relationships. But I would like to introduce and define another lesser-known term. The term is inclusion, and it comes to us from Buber and Heinz Kohut. The distinction between empathy and inclusion is not absolute. There is some intersection and crossover between the two, but for the sake of this article, I will define them this way: Empathy is what it would be like for me to be in my client’s shoes; inclusion is “getting” what it is like for my client to be in her shoes. Empathy is very useful in counseling and operates using the mechanism of projection. The Golden Rule is related to projection and empathy. We do for others what we would want others to do for us. By gaining an awareness of what it would or might be like for me if I were in the midst of a divorce with kids at stake, I can refine how I provide support to my client. On the other hand, if I become too “married” to my own experience, I might miss key differences or make inaccurate assumptions about the client’s divorce experience. The mechanism of inclusion is phenomenological inquiry, which I defined earlier. It is closely related to the Platinum Rule: We do for others what they want done. There are two parts to inclusion. The first is the process of truly getting (Buber used the word apprehending) our client’s experience at a particular moment in the counseling session. The second part is conveying to the client that we do truly understand and have no judgment. If we can occasionally practice inclusion at this precise level, we have moved beyond empathy, and the result will be what Maurice Friedman called “healing through meeting.” He believed, and I agree, that these powerful moments of connection between counselor and client can occur in any psychotherapy approach. 6) The funny thing about change. The field of counseling is committed to helping clients change. Most counseling theories have some fundamental philosophy about how change occurs. The funny thing about change, however, is that it is always happening. The seasons change, our bodies change, the weather changes, technology marches on, etc. I will push a hidden button and a red alert light will flash. Of course, it is absolutely normal, for new clinicians particularly, to be enthusiastic about helping our clients change. The critical question is how we as clinicians support the change process. Returning to the paradoxical theory of change principle, sustained (not quick-fix) change occurs when clients are able to “stay with” present experience, not flee from it. I should point out that when clients report that they feel “X” and don’t want to feel “X” anymore, I would never say, “Well the only way to not feel ‘X’ anymore is to more fully experience and resolve the ‘X’ so you can move on.” Experienced Gestalt therapists realize that our change theory is not how most individuals in Western culture consider change. One of the key contributions Laura Perls made to Gestalt therapy was emphasizing the importance of both individual and environmental support. Individual support is what the client brings to therapy. It is posture, the breath and all of the senses. Environmental support is provided by the client’s chair, the lighting in the office, but mostly by the therapist. I believe that one of the essential tasks of the counselor is to assess the client’s sources of individual support and, over time, to endeavor to determine the kind of support the client needs from the therapist. This last task is complex because each client is different, and there is no one-size-fits-all kind of environmental support. Different clients — and even the same client at different moments — may need the counselor to take the lead, to self-disclose, to sit in silence and so on. This ongoing attention by the counselor to maximize the level of environmental support requires attention to process, which I addressed earlier. Connecting the concepts of change and support, if clients are going to examine the “what is” or stay with aspects of their present experience (say an uncomfortable feeling), both individual and environmental support will need to be enhanced, both in the therapy hour and in their lives. 7) Watch your language and your attributes. The “fundamental attribution error” comes to us from our friends the social and organizational psychologists. They point out our tendency to “blame” or attribute responsibility to the individual. For example, a client arrives late for a counseling session and the counselor assumes some version of the client lacking sufficient motivation, not taking therapy seriously enough or not being a punctual person by nature. This type of faulty attribution is related to the deep individualistic roots of U.S. culture. Gestalt therapists do not blame or pathologize clients. Just in the past week in the training clinic where I supervise doctoral students, I have heard the following: the client is resistant, avoidant, attention seeking and dependent. I suggest that we all, no matter our theoretical orientation, watch our language when referring to our clients. These types of judgments lack sensitivity, miss the bigger picture and do not inspire the formation of a compassionate therapeutic alliance. By regarding our clients as any of these terms, we fail to seek the purpose or meaning for their behavior in the greater context of their lives, present and past. The scientist who is studying an iceberg knows that to truly comprehend “icebergness,” there is much to take into consideration, not just the tip visible on the water’s surface. There is the larger mass of ice below the surface, the water temperature and the entire ecosystem, past and present, that provide context for the iceberg. To label a client as “difficult” or “avoidant” is to form a judgment based only on the tip of the person. One of my first trainers and mentors told me that Gestalt therapy was the only counseling approach he could identify with as an African American because it is not an adjustment therapy. That comment has stayed with me many decades later. Although individuals must creatively adjust to their childhood circumstances, Gestalt therapists do not encourage their clients to adjust to the values and expectations of the dominant majority culture. At its essence, Gestalt therapy is about honoring the potential and unpredictable outcomes of the ongoing meetings that occur daily between individuals. Through those meetings, both parties are changed, and new experiences and realities are co-created. Given our current political context, I would assert that this concept of co-creation be embraced to counter a resurgence of xenophobia and “disinclusion” of non-like others. Jon Frew is a professor in the School of Graduate Psychology at Pacific University. He is an associate editor of the Gestalt Review and a co-author and editor of the book Contemporary Psychotherapies for a Diverse World. He is a co-director of the Gestalt Therapy Training Center Northwest in Portland, Oregon, and has been involved with the training of Gestalt therapists in the U.S. and internationally for more than 30 years. Contact him at jfrew@pacificu.edu. In the client-counselor relationship, describing traumas from past experiences can reveal unresolved suffering in which a client’s beliefs, emotions and behaviors are filled with deep negative images. Ideally, clients will share their trauma with therapists and how images from the past continue to affect them. By describing their trauma, many clients can normalize past experiences and are able to face future traumas with more positive attitudes. However, as counselors, we realize how accessible these traumas become for clients who slowly drift back into old patterns when new trauma enters their lives. New trauma that is even remotely similar to past trauma can resurrect old beliefs, trigger negative emotions and generate compulsive patterns of behavior. The question becomes, how do counselors stop clients from drifting back into old traumatic patterns when new traumas enter their lives? One successful possibility is the use of metaphors. According to Judy Belmont, metaphors allow counselors to unlock a client’s way of thinking by creating flexibility and evoking emotion. They allow clients to visualize their thoughts and connect them to their feelings. Neurologically speaking, metaphors allow the neuropathways of the brain to realign in a way where thinking and feeling bring into account a similar picture from a past incident. This leads to a more comprehensive understanding of experiences such as trauma, abuse, loneliness and loss. Let’s look at one such example with elements that most people around the world would understand — namely, wounds and scars. It may be impossible to get through life without experiencing some form of physical or psychological wound that affect a person’s everyday experience. You trip and fall down the stairs, you are in an accident, someone close to you dies … these are examples of wounds that hopefully will heal. If they do heal, many times you are left with a scar that reminds you of the incident that took place. But there can be confusion over the healing process and how the person perceives his or her wounds developing into scars, especially if they are psychological scars. My hope is that the metaphor “a scar is not a wound” will help clarify this healing process with an emphasis on psychological healing. In many cases, a healed wound may leave a scar as a reminder that successful healing has taken place. Although the scar may be ugly, annoying, a topic of conversation or not as favorable as regular tissue, it is still an image of success signifying that a wound has healed. If the scar begins to throb or becomes painful at a future date, many people still tolerate it as a reminder of successful healing. They do not hold the scar to the same traumatic standard as they do the original wound. At this point, it may be safe to say that, metaphorically speaking, a scar is not a wound. When helping clients understand their past traumas, it may benefit therapists to describe these traumas as open wounds that need to heal. In mental health, when someone experiences a past mental wound, the healing process can be quite similar to that of a physical wound. For example, in therapy, when exposing past mental wounds, the associated suffering may feel worse than the suffering from the original traumatic experience. Furthermore, mental health clients can confuse the difference between necessary and unnecessary suffering with these wounds. When experiencing a physical wound, it seems much easier to accept suffering as necessary. A mental wound may be harder to accept or tolerate, however. Even when clients work through the suffering associated with mental wounds, they may remain anxious about the possibility of the wound returning. Many clients in mental health are at a disadvantage when it comes to the healing process, in part because they cannot look at their wounds and watch them heal. Instead, they must trust in the therapeutic alliance between client and counselor to form a belief about how the mental wound heals. Neither can these clients look at their wound and visualize growth and change. For therapists who find meaning in the power of images, this may be an appropriate time to introduce the metaphor “a scar is not a wound” to help clients visualize their healing. When normalizing past traumas with clients, therapists can describe trauma as an open wound that needs to heal. Eventually, the client and therapist may want to discuss turning wounds into scars. A scar can be used as a metaphor that reminds clients of past open wounds but in a positive manner. Helping clients transform wounds to scars is a metaphorical way of making past trauma meaningful and positive. Instead of clients looking at new trauma as a return to an open wound, they can use the metaphor of a scar as reassurance that they have gained resilience for future traumas in their lives. This begs a question: Can mental scars be more than reminders of past wounds? Can they be viewed as products of successful healing? The scar metaphor creates growth and change by using the natural process of healing as a model for mental health. Such a model can be used when future traumas that are even remotely similar to those from the past might suggest a traumatic relapse. Recognizing the difference between a scar and a wound can stop a continued drift into old beliefs, emotions and behaviors. The scar/wound metaphor is a clear and simple way of reminding clients with posttraumatic stress disorder, secondary traumatic stress reaction, apathy, abuse, loneliness or loss that traumatic experiences can sometimes create resilience. Therapists can help clients learn from their scars. They can be symbols of successful healing. They can be viewed as a source of wisdom, similar to what is found in many survivors of physical wounds. Scars are not wounds, and when a new trauma is experienced, counselors can help clarify the difference. This metaphor follows a growth and change model for treating clients. Ironically, it also follows a medical model by explaining the process of healing that takes place when doctors treat a physical wound. More important, it references the natural healing process, whether mental or physical. This provides clients with a more holistic view of healing. It also allows clients to rely on a schemata or map of healing that they know and understand. Finally, it puts traumas in a different light in which necessary suffering is viewed as a natural process that can have positive results. Metaphors are used in most cultures, making them especially useful in the field of therapy. Universal themes that transcend cultural differences give certain metaphors more reliability and validity. The “scar is not a wound” metaphor leaves little room for cultural misrepresentation. Furthermore, the image of a scar is a universal concept that has deep meaning from a cultural perspective. For example, some African cultures create scars on their faces and bodies as a statement of rank, courage or pride in their communities. The scar may signify going through some difficultly and coming out the other side intact. The “scar is not a wound” metaphor, therefore, becomes multicultural because scars and wounds are viewed as universal phenomena that can be interpreted in many different ways, with most of these interpretations symbolizing a sense of healing. 1) When is an effective time to bring up the “a scar is not a wound” metaphor when discussing the group members’ past traumas? 2) What were your experiences of having a wound turn into a scar, either physically or mentally? 3) What are your beliefs regarding your physical and mental scars? 4) Do you know of any culture that views scars as a sign of success when working through a difficult time? 5) Do you think it is ethical to use examples from physical healing to describe mental healing? For those looking for a more scientific explanation of healing, the “a scar is not a wound” metaphor may be viewed as too conceptual, with little use of facts to back up one’s description. This may be especially true with new supervisees who are looking for factual definitions for such phenomena as trauma, DSM-5 disorders and other natural scientific concepts that make up the lexicon of mental health counseling. In addition, those who are looking for a more linear, step-by-step approach to healing may find such a metaphor too esoteric and not fitting for mental health counseling. These clients may want cause-and-effect answers that help control their anxiety about the possibility of future traumas. Some counselors may find the use of the metaphor too nondirective, preferring more control over the information they share with their clients. In addition, it may not appeal to those therapists who hold little interest in the workings of the unconscious mind. This metaphor can work well with groups whose members have suffered “wounds” that have produced negative results in their lives. For example, many individuals struggling with addiction have a history of trauma ranging from intrapersonal to interpersonal and leading them to their individual addictions. Some of these traumas remain open wounds that go even deeper than the addictions themselves. 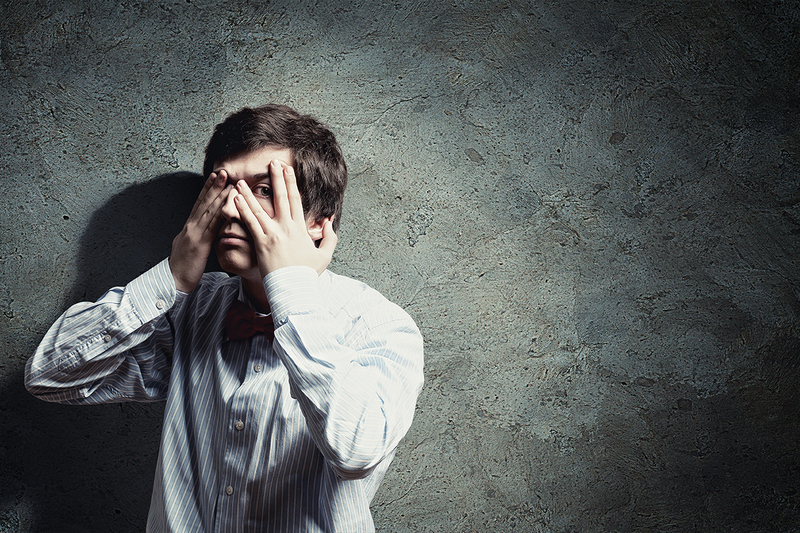 Blame, shame and low self-esteem may haunt these clients. Their open wounds have not turned to scars and may be the major cause of any relapse that takes place. Sometimes the open wounds become their own emotional addictions. In fact, healing the individual’s physical addiction may require healing his or her emotional addiction. This phenomenon can take place in both addictions counseling and mental health counseling. Peter D. Ladd is a licensed mental health counselor and the coordinator of the graduate mental health counseling Program at St. Lawrence University. His interests include existential and phenomenological counseling and conflict resolution. He has written 10 books from this perspective. Contact him at pladd@stlaeu.edu. For many years, mental health practitioners labored under the assumption that grief was a relatively short-lived process that people navigated in an orderly and predictable fashion until they reached “closure” — the point at which the bereaved would move on and put the person they had been grieving in the past. Despite the continued prominence of Elisabeth Kübler-Ross’ “five stages” in the public lexicon, experts now know that grief does not move smoothly and predictably through a series of predetermined stages. In reality, it is a process that follows a different course for each individual. Furthermore, the experiencing of grief isn’t exclusive to the loss of a loved one through death. As American Counseling Association member Kenneth Doka explains, grief is a reaction to the loss of anyone or anything an individual is attached to deeply. Although society expects people to grieve the death of a family member, people also mourn events such as the passing of a pet, a divorce or the loss of a job, Doka says. 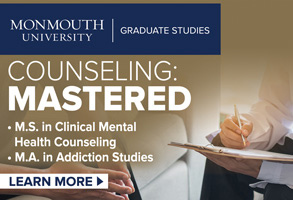 Licensed mental health counselor Beverly Mustaine, a private practitioner and an associate professor of counseling at Argosy University in Sarasota, Florida, has taught graduate-level courses in loss and grief for 20 years. She notes that she has helped clients cope with grief connected to experiences as varied as moving, losing contact with a friend, retiring and aging. “Counselors are going to be working with grief and loss really in some regard with every client they see,” asserts Elizabeth Horn, an assistant professor of counseling at Idaho State University’s Meridian Health Science Center. Doka, Mustaine and Horn agree that counselors who do not work regularly with issues of loss may need to rethink their concepts of grief. Regardless of the nature of the loss, Horn says she approaches grief work with the same goal in mind: to help clients experience and express their grief in a way that is natural for them. “People react to loss in all kinds of ways,” says Doka, who has written numerous books on grief and loss, including his latest, Grief Is a Journey: Finding Your Path Through Loss, published earlier this year. Clients grieving a loss may feel sadness, yearning, guilt, anger or loneliness, but some may also feel a certain sense of relief or emancipation, particularly if they had a problematic relationship with the deceased, he explains. Whatever clients are experiencing, it is important for counselors to provide a safe place and to validate their losses, Doka says. “We [counselors] have to communicate that we’re safe — that other people may not want to hear about this [loss] anymore, but we do,” says Mustaine, a member of ACA. She likes to use Rogerian methods when helping clients process their grief. “I’m reflecting feelings, repeating, setting up a ‘holding’ environment where it’s OK to say the unsayable or mention the unmentionable, like ‘I hated my father, I’m glad he’s dead,’” she says. In addition to talk therapy, Mustaine often uses nonverbal tools such as sand trays or music to help clients evoke and express their emotions. Horn, whose research focuses on grief and loss, says it is important for counselors to recognize that people have different coping styles when it comes to processing losses. Some people process loss affectively, which means they tend to express their grief verbally; others are more likely to process the loss cognitively, which means they rely more on thinking than feelings to work through their grief and tend to give expression to their grief through physical activity. In general, men are more likely to use cognitive coping styles and women affective coping styles, Horn says, but she cautions that this is not always the case. Horn also warns that counselors shouldn’t label either coping style as the “right” way or the “wrong” way to process loss. “Within our field, we frequently have an affective or an emotional bias,” she says. “We are trained to elicit emotion and focus on emotion, and that’s great for people who grieve that way. But sometimes if we have someone who grieves in a more cognitive way, we might say that they are in denial … but that’s how they’re dealing.” She also notes that most people aren’t exclusively affective or cognitive while experiencing grief; instead, they use a mix of both coping styles. That is one of the reasons that Horn is a proponent of helping clients design rituals, whether they involve holding a memorial ceremony or simply lighting candles in a counselor’s office, that will be meaningful and beneficial to them in processing their grief. Rituals can offer opportunities for both cognitive and affective grieving, she explains. For example, someone who copes cognitively might take charge of making all the practical arrangements, whereas someone with a more affective style might arrange for speakers or even speak himself or herself at the ceremony, Horn says. Rituals can provide a very personal and ongoing way for family and friends to remember the deceased in a meaningful way. Horn shares a ritual that she describes as her favorite. The son of one of Horn’s friends had died from an overdose. Although his family and friends remembered him with fondness, they felt it was important to also honor his ornery personality, so they developed a ritual based on an actual incident. At one point, the son had been asked to get his younger siblings some food from McDonald’s, but he didn’t want to. The task left him so agitated that when he returned home, he threw a cheeseburger at the wall in a fit of pique. So every year, a group of his family members and friends pick a date to get together, buy cheeseburgers from McDonald’s and throw them against the wall. Doka tells the story of a good friend who died from amyotrophic lateral sclerosis (ALS). Before the ALS rendered him incapable of physical activity, Doka’s friend — who described himself as “an engineer by vocation but a bluegrass musician by avocation” — played with a band at various outdoors venues, which made the performances dependent on the weather. As a nod to this reality, the band always opened its sets with a song titled “Singing in the Sunshine.” When Doka’s friend was diagnosed with ALS, the band started opening instead with “Singing in the Rain” and telling the audience about their missing band mate. When he died, the band played the song at his memorial service. Doka believes that when a child or teenager dies, it is important to get his or her friends and classmates involved in the memorial service. For instance, Doka, a Lutheran minister, presided over the funeral of a 13-year-old girl, and her family asked her friends and classmates to help design the service. The friends suggested having her school choir sing at her service. “It let the kids feel involved and was also very powerful for the family,” Doka says. Children’s friends and classmates are the people who really know them best, says Judy Green, whose work as a private practitioner and school counselor in the Jacksonville, North Carolina, area has focused on grief and loss. She encourages children and adolescents to reach out to the families of friends or classmates who have died to share their memories. In her experience, Green says, families often find this helpful in mourning their child’s death. Both Green and Doka say it can also help the child’s friends and classmates better deal with the death. Horn says it is important for counselors to talk to their clients about their cultural backgrounds and discuss any rituals that they might find helpful in grieving the loss of a loved one. Some rituals can even affect how clients verbalize their grief, she says. For instance, in certain Native American cultures, a person who has died is believed to be on the “spirit road,” which is an essential journey. Speaking a person’s name after death will take the deceased off the road, Horn notes. Horn emphasizes that whatever a client’s background, grief is still very individual, so rituals should take whatever form is comfortable for the client. “We are all so very unique in the way that we interact with our culture, ethnicity and personal traditions,” she concludes. Rituals can also help grieving clients move on to what counselors call the “new normal,” a world in which the person, relationship or other object of loss is no longer with them, yet they continue to make a place in their lives for that connection. Counselors can assist clients in coming up with rituals that recognize the progression but also honor the relationship to the loss, Doka says. Sheehan-Zeidler encourages clients who desire a longer-lasting remembrance to volunteer or join a group that is connected to their loved one or to create an annual event in honor of the person. Says Green, “When people realize that their relationship with the deceased did not end when the death occurred, but that the relationship will always be part of them, they will be well on their way to healing from the loss.” At the same time, Green urges counselors to let their clients know that grief isn’t linear. Months or even years after the loss originally happened, they might wake up and hear a song on the radio that reminds them of their loved one. And that experience might trigger a brief wave of grief, she says. Green says many people do most of their active grieving within the first six to eight months of the loss. But she adds that grief cannot fully be processed until the client has lived at least a year without the loved one and gone through events such as birthdays, anniversaries and any holidays that were significant in their relationship. Complicated grief occurs when people become so debilitated by grief that they are unable to return to their daily activities, even after an extended period of time. The symptoms are similar to those of “uncomplicated” grief, but more intense and debilitating, and longer lasting, Green says. A variety of factors can contribute to the presence of complicated grief, Green says. These include the death of a child, the perception that the death was avoidable, an unhealthy or dependent attachment to the deceased, death following a prolonged illness, a client’s prior history of loss and a lack of social support. Clients who are experiencing mental health issues at the time of the loss — or have experienced them in the past — are also at greater risk of being confronted with complicated grief, Doka says. “Each of these factors can result in interrupting [the ability] or prolonging the grieving person’s inability to cope with the death,” Green says. An important consideration is that these groups be made up of people who have experienced the same kinds of losses, Green emphasizes. For example, a group for those who have lost a child, a group for those struggling with the aftermath of a loved one’s completed suicide and a group for those who have lost someone to a sudden and unexpected death. Counselors should also help grieving clients work through any unfinished business, Green says, such as not having been able to say goodbye to the deceased or feeling guilty about something related to the deceased. Doka has clients write letters to the deceased or engage in role-play to have conversations with the deceased. He gives the example of a boy who had carried guilt over the death of his father. When the boy and his family visited his father as he lay dying in the hospital, the father would always ask the boy for a hug before he left. The final time that the family visited, the boy didn’t want to give his father a goodbye hug before leaving because he had already hugged him earlier in the visit. The boy realized his father would have been surprised that the incident was such a source of guilt to his son. What happened would not have stood out as a source of hurt for the father or been something that he held against his son. Sheehan-Zeidler uses a similar method, asking clients to imagine what they would say or want to hear if they could talk to their deceased loved ones. 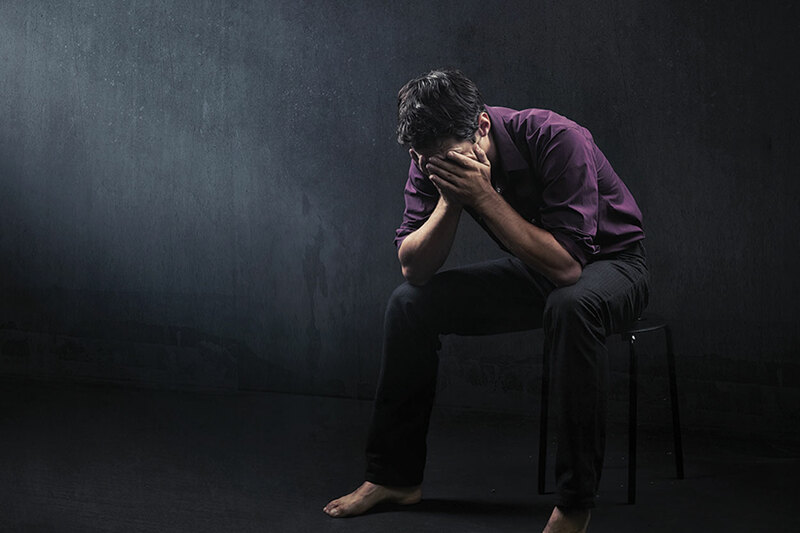 But certain types of death, such as suicides, horrific accidents, murders or even sudden and unexpected losses, can be traumatizing to clients. In such cases, Sheehan-Zeidler has found that the use of eye movement desensitization and reprocessing can be helpful. 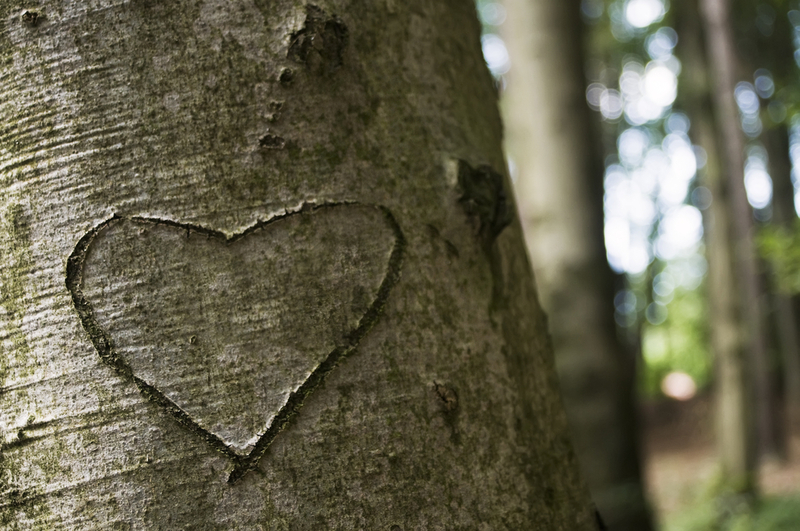 A loved one’s death is not the only type of loss that can result in complicated grief. Mustaine once counseled a woman who had been divorced for five years yet still fully expected her ex-husband to return, even though he had remarried and had children with his second wife. Some clients grew up in environments in which it wasn’t safe to express emotions, Mustaine says, such as having a father who would say, “You don’t have anything to cry about. I’ll give you something to cry about!” In such cases, Mustaine says there might be a need to switch from grief work to traditional psychotherapy. All of the sources Counseling Today spoke to for this article cautioned that in order for counselors to avoid their own complications, they should engage in their own grief work before working with clients on grief and loss issues. As students in the University of Vermont’s graduate counseling program, our professors have stressed both the benefits and critiques of Sigmund Freud’s psychoanalytic theory. 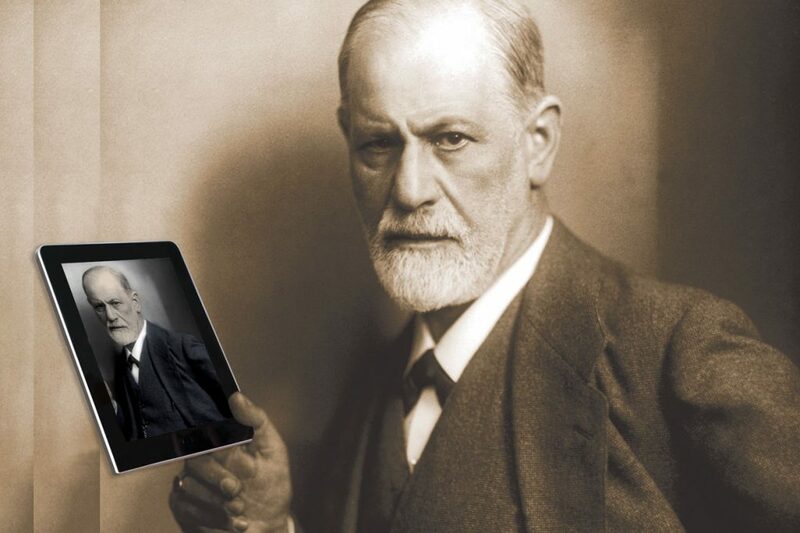 We grew curious about how Freud’s pioneering ideas have evolved over time and how they can be applied to clients today. We think that contemporary psychoanalytic theory provides a great foundation for understanding human development, and this article allowed us to explore its progression. Freud’s psychoanalytic theory has received widespread criticism since its establishment in the late 19th century. However, Freud’s original theories have undergone numerous evolutions, resulting in the de-emphasis of antiquated ideas pertaining to psychosexual fixation and a modern emphasis on the influence of early life family dynamics on later life relational patterns. This shift from examining repressed libidinal urges to the intrapersonal/interpersonal etiology of relational patterns allows counselors to place problems into an addressable context — namely, the bolstering of intrapersonal resources (i.e., ego strength) and the formation and maintenance of quality attachment relationships. These two branches of psychoanalytic thought are known respectively as ego psychology and object relations. From a contemporary psychoanalytic perspective, an individual’s mental health is dependent on the regulatory abilities of the ego. The ego is the contemporary psychoanalytic term for the psychological mechanism that governs the processing of reality and the regulation of instinctual urges and moral rigidity. The ego has many significant roles, including perceiving and adapting to reality, maintaining behavioral control over the id and defending the individual from undue anxiety. The undeveloped (or overstressed) ego can lead to a wide span of threats to a person’s wellness. Counselors might use these functions collectively as a guide to conceptualize the health of a client’s ego, while simultaneously considering specific aspects of ego function as possible starting points for counseling interventions. It is also worth considering how clients may defend their sense of self through the use of defense mechanisms. Whereas ego psychology represents contemporary psychoanalytic views on the development and regulation of the self, a separate yet related branch of contemporary psychoanalysis focuses on the self in relationship with others. Many theorists within the psychoanalytic school of thought place significant emphasis on the association between intrapersonal and interpersonal wellness. From an object relations perspective, counselors may view barriers to client wellness as stemming from the quality of early interactions between the client and his or her caregivers and how the client internalized these early relational experiences. When an infant is first born, it is undifferentiated from the mother. Thus, the self has not yet formed. The self is composed of the ego, the internal objects (i.e., structures formed due to early experiences with a caretaker) and the affect that binds the ego and internal objects together. The development of internal objects and ego is crucial to one’s functioning in later life because impaired object relations may result in the development of abnormal behaviors, cognitions or emotions. To elaborate, when an individual experiences negative relational experiences in the caretaker-child dyad, healthy object relations fail to formulate. These relational blunders occur after ego-relatedness (i.e., the phase of absolute dependence on the mother). When the child is not provided with an ego-supportive environment, growth of the ego is inhibited. Fragmented ego strength during childhood may contribute to later issues in adulthood. Object relations bears a strong theoretical resemblance to attachment theory in that the relational experience between a caretaker and an infant carries implications for functioning across the life span. For example, the relationships that individuals hold with others (caregivers, friends, romantic partners, etc.) shape the development and regulatory ability of the ego. Individuals with fragmented ego strength are therefore at a disadvantage because they developed a faulty foundation for both self-regulatory abilities and social interactions later in life. In her book Psychoanalytic Diagnosis: Understanding Personality Structure in the Clinical Process (2011), Nancy McWilliams conceptualizes a person’s capacity to acknowledge reality — even when that reality is unpleasant — in terms of ego strength. Ego strength, like other aspects of wellness, is constantly in flux and can be eroded temporarily by the stresses of day-to-day life. When ego strength is compromised by anxiety-provoking circumstances, or even by mental fatigue (we note, for example, that our egos begin to feel considerably less sturdy by the end of the semester), ego defense mechanisms serve as a kind of respite from perceived threats. When sensitive topics are broached in the context of counseling, client defense mechanisms may present themselves. Because these same defenses likely arise in other contexts that are interpersonally challenging for clients, acknowledging and discussing these defensive processes may prove to be a generative pathway to change. According to McWilliams, when clients use a defense mechanism, they are generally trying unconsciously to avoid the management of some powerful, threatening feeling (e.g., anxiety, grief, shame, envy). In the same way that fabled knights used shields to deflect the fiery breath of a dragon, clients may use defense mechanisms to ward off potential threats while attempting to maintain safety and stability in their stances. It is important to note that the use of defense mechanisms is a common, if not daily, occurrence in the lives of most people. Indeed, the use of defense mechanisms is considered by most mental health professionals to be adaptive and necessary for sound mental health. George Vaillant (1994) described how defense mechanisms help people to regulate internal and external reality, and decrease conflict and cognitive dissonance. However, it is also important to note that defense mechanisms can be used in ways that are more adaptive or less adaptive. The degree to which an architecture of defenses might be considered adaptive pertains to the frequency and rigidity with which the defenses are used and the types of defenses employed. In broad terms, defense mechanisms might be defined as primary or secondary defensive processes. McWilliams considers primary defenses to be less adaptive because they contain a greater degree of distortion in the boundary between the self and the outer world relative to secondary defenses. Primary defense mechanisms are characterized by the avoidance or radical distortion of disturbing facts of life. For example, McWilliams explains how the primary defense mechanism of introjection involves substituting the perceived qualities, values, behaviors or beliefs of another person for one’s own identity. In effect, these individuals are uncritically adopting the attitudes, values or feelings that they perceive a valued other wants them to have. McWilliams suggests that such global distortions of self and reality likely have their origins in early developmental stress and the lack of developmental opportunities to cultivate a coherent and stable ego or a differentiated sense of self. McWilliams considers secondary defenses to be “more mature” because they allow an uncompromised sense of self to remain relatively intact, even as an uncomfortable reality is held at bay. Secondary defenses allow for greater accommodation of reality and a stable sense of self. For example, counseling students may occasionally employ “gallows humor” (humor is one of numerous secondary defenses that McWilliams describes) before taking tests such as the National Counselor Examination. Humor in such cases helps to ease the tension by distracting from the reality of the situation without engaging in significant denial or distortion of the situation itself. The degree to which developmental opportunities have allowed for the establishment of the aforementioned ego domains and the type of defensive architecture generally used (i.e., primary vs. secondary) contribute significantly to how clients perceive difficulties in their lives. An essential aspect of understanding an individual’s mental health is the presence or absence of an observing ego. According to McWilliams, an observing ego enables clients to see their problems as inconsistent with the other parts of their personalities. Such problems are termed ego dystonic. In terms of counseling individuals with ego dystonic problems, the client’s and the therapist’s understanding of the problems are likely to align because both parties recognize the problems to be undesirable. Thus, the observing ego allows for identification of unwanted problems and helps the client bring his or her personality back to a desirable level of functioning. Problems that are unrecognizable by an individual are termed ego syntonic. According to McWilliams, such problems are likely to be rooted deep in the individual’s personality and often develop during early childhood. Because ego syntonic problems are intertwined in the person’s character, addressing these problems can be perceived to be a direct assault on the individual’s personality. Taking away an adult representation of an adaptation from childhood could compromise an individual’s entire way of being. It is therefore important for counselors to handle ego syntonic problems slowly and delicately. For example, counselors could validate and empathize with a client’s ego syntonic experience while subsequently offering an alternative perspective. Establishing rapport and trust in the counseling relationship is perhaps the strongest tool when working with individuals whose maladaptive behaviors are intertwined in their personalities. Substantial time is required for ego syntonic problems to become ego dystonic, and treatment is not possible until an individual can recognize his or her problems as such. The presence or absence of an observing ego determines whether an individual’s problems are neurotic or entwined in his or her character. Ego syntonic problems are telling of a dysregulated ego because the ego lacks the ability to acknowledge, understand and accept reality. Individuals who are capable of recognizing their problems likely have a better sense of self and a more developed ego. Contemporary psychoanalytic thought emphasizes the impact of the ego on an individual’s well-being. Whether development is viewed from an object relations lens or an ego psychological lens, the ego is at the core of healthy development. The ego’s ability to balance the id and the superego, and process reality and emotions, can be learned only if an individual’s social relationships throughout his or her lifetime foster healthy ego development. Unhealthy development or underdevelopment of the ego can cause psychopathological problems because an individual’s abilities to process reality and emotions are likely to be impaired. According to McWilliams, all of us have powerful childhood fears and yearnings. We handle them with the best defense strategies available to us at the time and maintain these methods of coping as other demands replace the early scenarios of our lives. Thus, defense mechanisms are useful in protecting the ego, but when used in excess, they may cause psychopathological problems. In this way, ego defense mechanisms are like sugar. When needed, sugar provides valuable energy that prevents the body’s systems from malfunctioning. But when consumed in excess, sugar can cause disease and negatively affect an individual’s well-being. Conceptualizing clients through a contemporary psychoanalytic lens can provide counselors with a deep understanding of the past and present factors that are shaping clients’ lives. This approach illuminates how adaptations formed during childhood can present as maladaptive behaviors or cognitions in adulthood. Unlike classic psychoanalysis, contemporary psychoanalytic theory considers the social factors that contribute to ego health, therefore giving counselors a more comprehensive and applicable understanding of the client. The authors would like to extend a special thank you to Aaron Kindsvatter for his contributions and supervision. Whitney Keefner is a second-year student pursuing a dual master’s degree in clinical mental health counseling and school counseling at the University of Vermont. She is currently interning at Spectrum Youth and Family Services in Burlington, providing integrated co-occurring treatment for mental health and substance abuse issues. Upon completing her degree, she hopes to continue working with individuals struggling with substance abuse in a community mental health setting. Contact her at wkeefner@uvm.edu. Hilary Burt is a second-year graduate student in clinical mental health counseling at the University of Vermont. She is interning at UVM Counseling and Psychiatry Services. 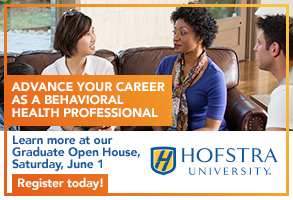 After she completes her degree, she hopes to work with children and adolescents in a community mental health setting. Contact her at hburt@uvm.edu. Nicholas Grudev is a second-year graduate student interning at the MindBody Clinic at the University of Vermont Medical Center. 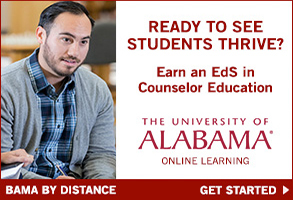 Upon completing his master’s degree, he plans to enroll in a doctoral program to study counseling psychology. Contact him at ngrudev@uvm.edu. Counseling Today reviews unsolicited articles written by American Counseling Association members. To access writing guidelines and tips for getting published in Counseling Today, go to ct.counseling.org/feedback.